It is awards season, and boy are we loving it! But, before Hollywood has its chance to hand out its golden trophies at the Oscars Sunday night, it is our time to walk/run our own version of the red carpet (or is it gold?) as we hand out the 2nd Annual Golden Runners Awards!!! Last year we honored the best in the running industry, and now the GRAs are one of the most highly-coveted awards in the industry (or so we have been told!). 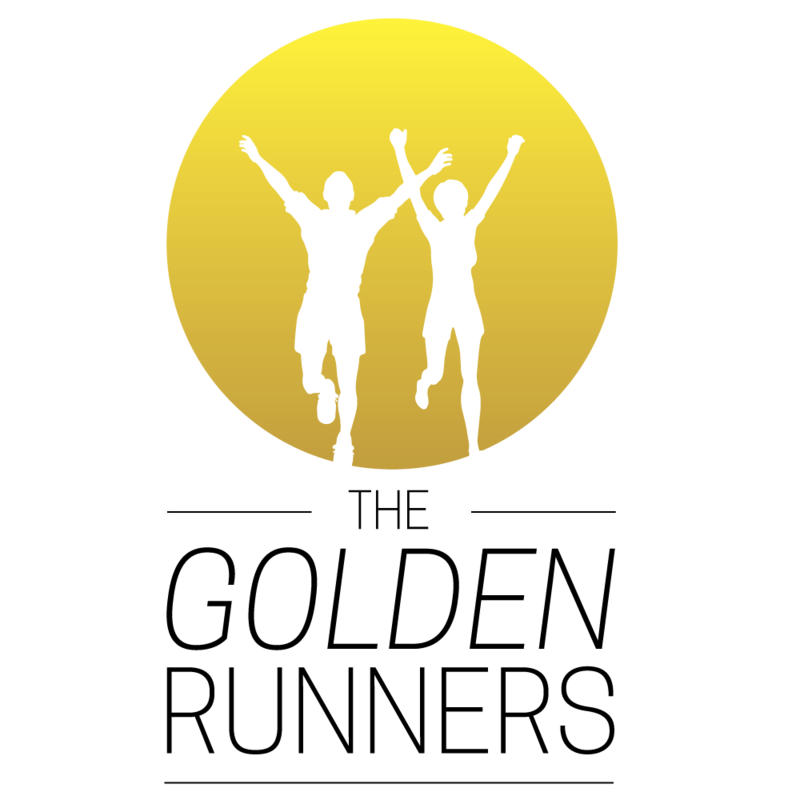 CHECK OUT THE COMPLETE LIST OF 2016 GOLDEN RUNNERS AWARD WINNERS. Once again, we invited some of the best A-list celebrities to present these awards at a star-studded gala, but unfortunately, none of them were able to make it. We assume they are all training for their own marathons (most likely Netflix marathons). No matter, the show must go on. So, without further adieu, live from Hollywood, or, um, your computer or smartphone, Casual Runner proudly presents the 2017 Golden Runners! 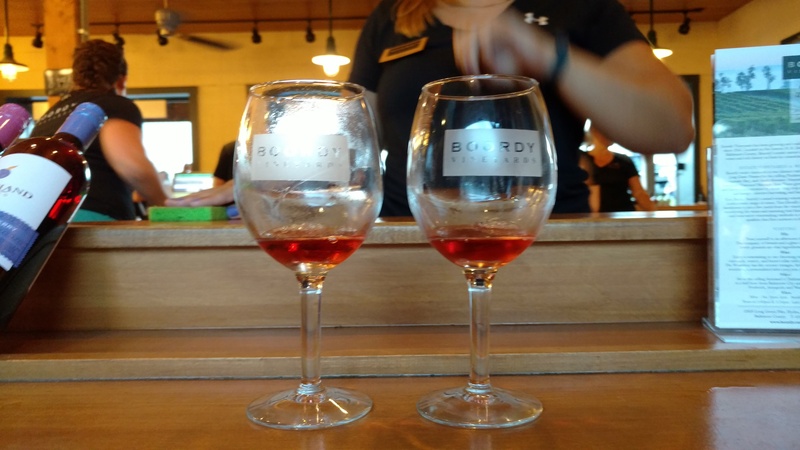 2016 Boordy Vineyard 5K: The pre-race is held on the grounds of the winery and the local cover band starts playing in the early evening. But wait, there’s more! The wine tasting room is open and the local ice cream vendor is already serving. 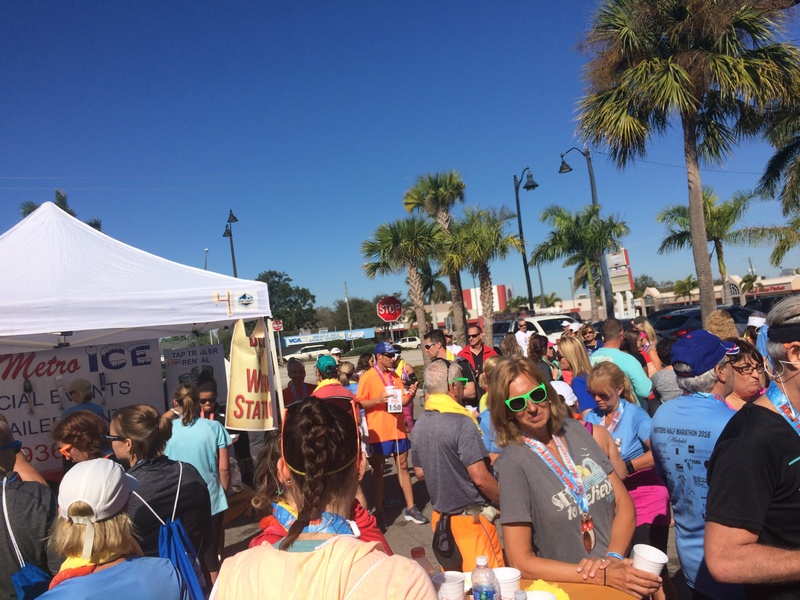 This is one race that doesn’t make you wait until after your run to get your yummy food! We can neither confirm nor deny whether Team Casual Runner representatives consumed a bottle before the race…you know, in the name of research! runDisney Walt Disney World races: As long as the audio systems are working and you can actually hear what’s going on, the announcers keep up a steady stream of banter than helps pass the time. 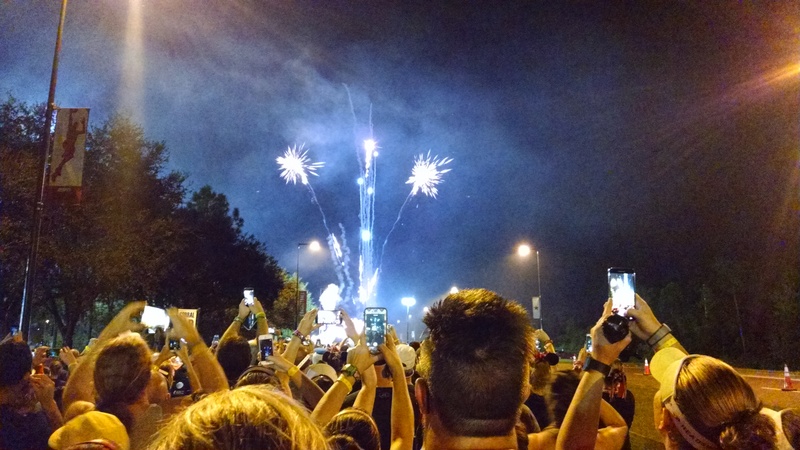 Even better, every corral gets its own fireworks and musical start! Disney World wins over Disneyland since no fireworks are allowed at Disneyland early in the morning. Sorry Disneyland home parkers, but we do love us some fireworks! 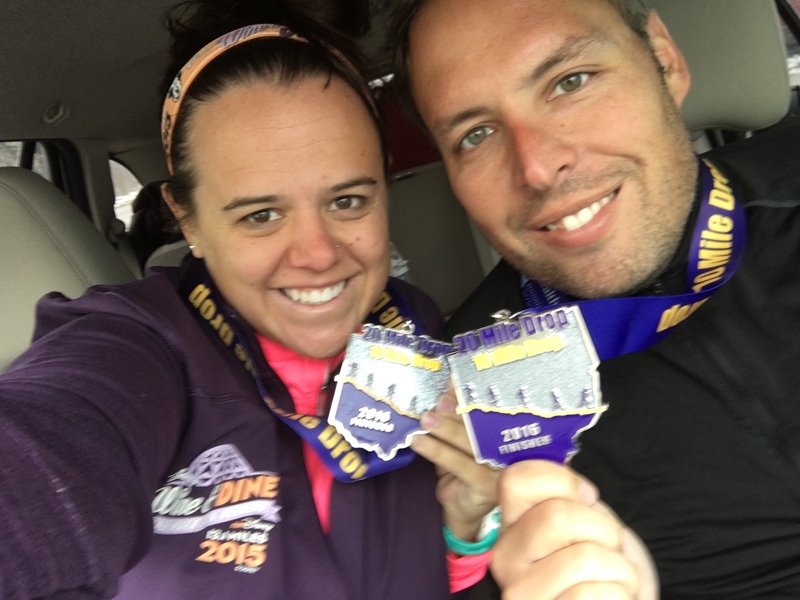 Not Real Runners: John Biel & Sara Lupien. You may know these two entertaining runners from the Not Real Runners Podcast, or from seeing them at many runDisney and Rock N Roll Marathon Series events, but whereever you find them, you will not soon forget them! 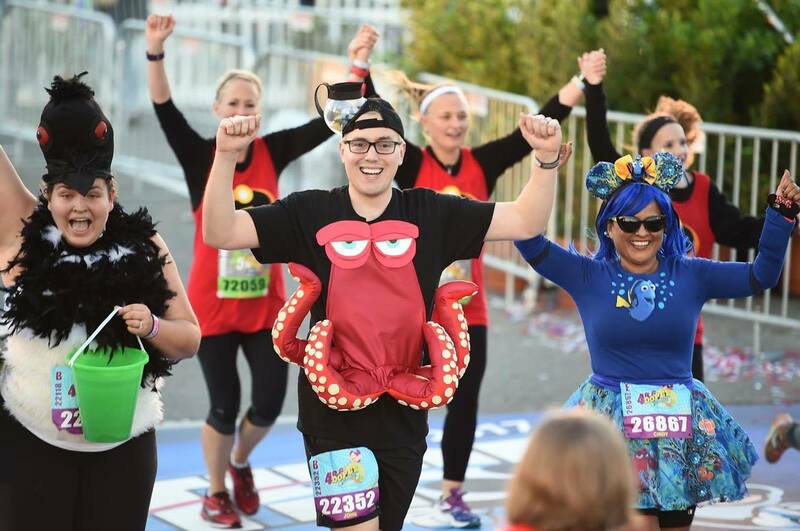 These amazingly fun Casual Runners always celebrate the fun of the running adventure with their creative costuming creations. What will they have in store for us next? No pressure. 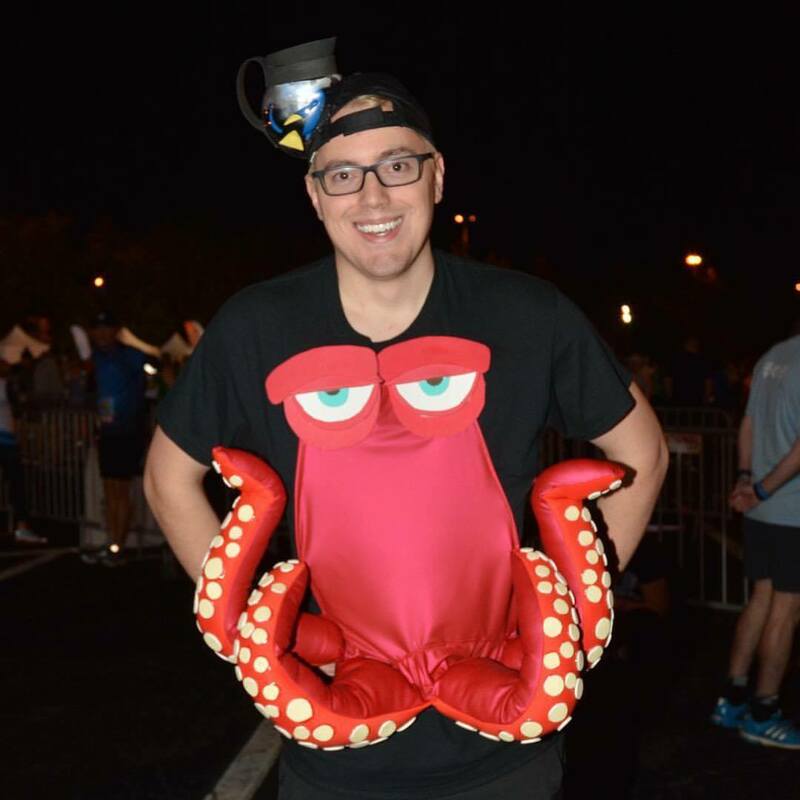 How could we not select John Biel’s Hank the Septopus costume from Finding Dory? Honestly, there were many tremendous nominees this year, but John’s costume was featured by none other than Pixar itself on its Instagram account. With that kind of praise, the Golden Runners Award was a no-brainer! Tie: the runDisney Disneyland Light Side Half Marathon Weekend and the Walt Disney World Dark Side Half Marathon Weekend. Ladies and gentleman, its freakin Star Wars!!!!!!!! 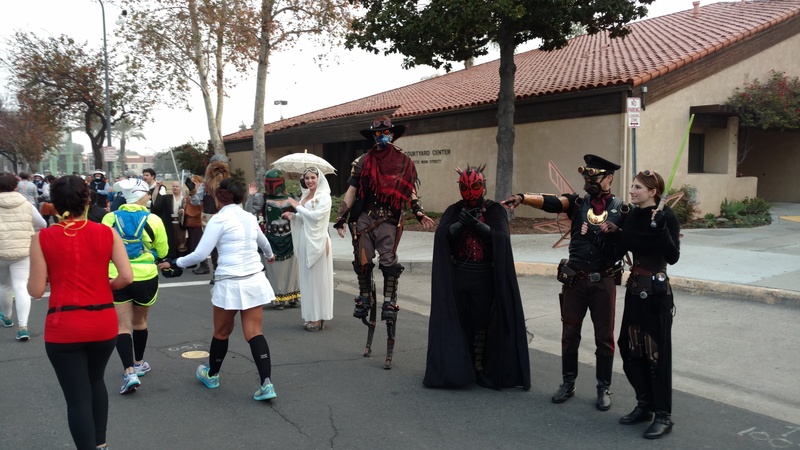 The only other theme that competes is the Disneyland Super Heroes Weekend, but the Star Wars universe affords Casual Runners with such a deeply rich treasure trove of costuming ideas it is our runaway favorite. 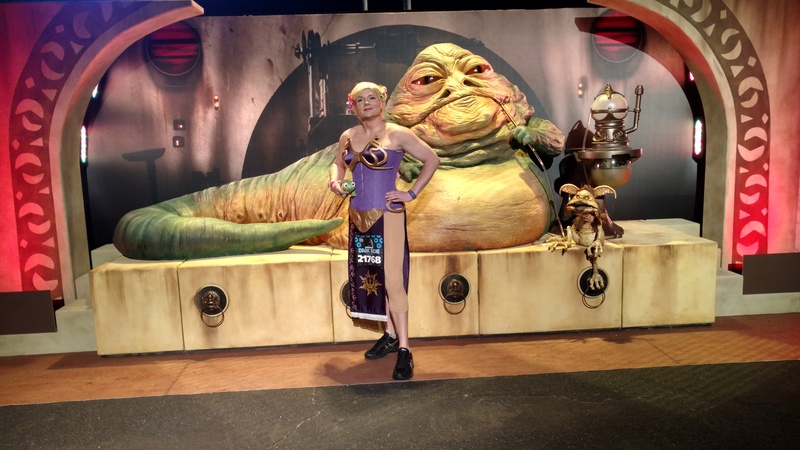 There was no question about this category since way back in April when Jake debuted his amazing Slave Leia/Rapunzel mashup at the 2016 runDisney Star Wars Dark Side 10k. The intricate details (especially the rebel symbols in Rapunzel’s suns) made this outfit. Not to mention that he has a pretty good figure in that corset! One word: Epic! 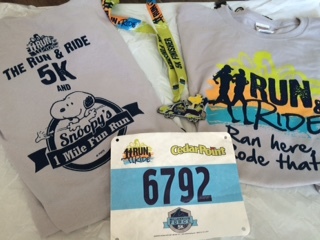 Many races seem to be stepping up their game in terms of swag and race premiums, but the Run and Ride Race Series once again stands out among the crowded field as their race registrations include FREE TICKETS to the host amusement parks! In addition to running great races, you get to ride some of the most thrilling roller coasters on this or any continent. But wait, there’s more! (Sorry for the obligatory TV infomercial pun). 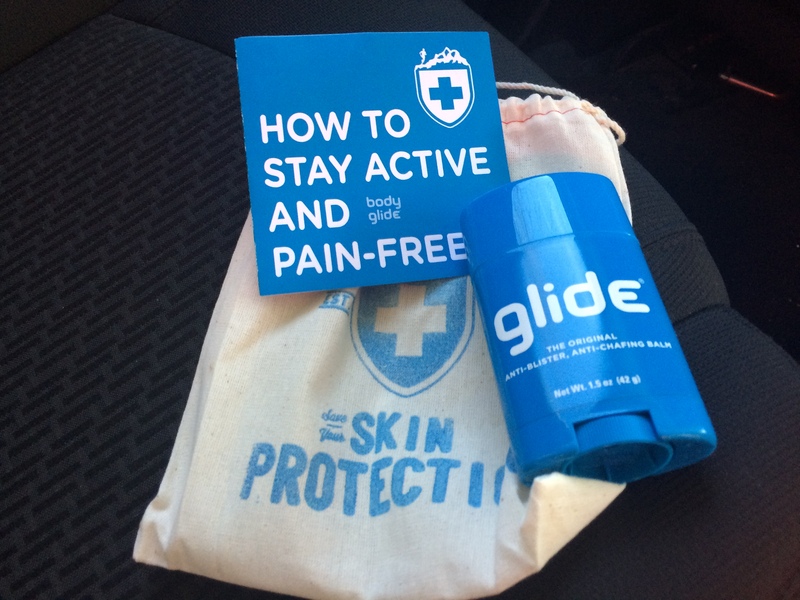 Runners also receive bonus swag like branded arm sleeves, magnets, and Buffs. Now folks, that is one awesome swag pack! 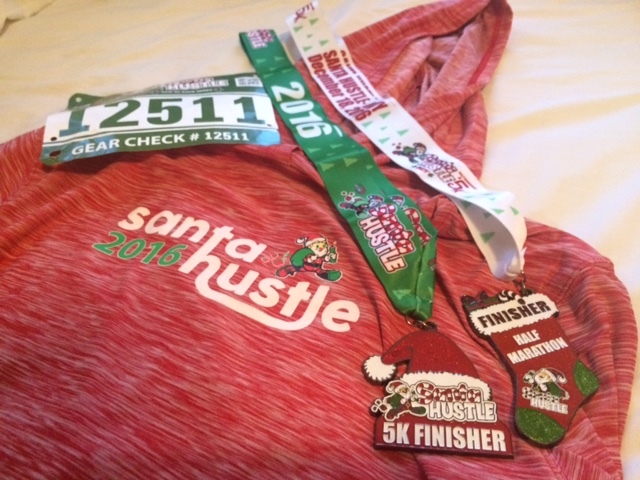 The Santa Hustle Race Series wins this year’s award for standing out amongst its peers by providing runners with super comfortable long sleeved HOODIE t-shirts! That’s right, the shirts are hoodies! Its the perfect compliment for temperatures that aren’t so cold you start seriously considering running on the treadmill and they knocked it out of the park with a fun 2-tone fabric design. Well done! The Hooters Half Marathon. Imagine finishing a half marathon and you come upon a buffet of all-you-can-eat beer and wings! Sure, there was other stuff too, but I saw nothing other than beer and wings! This is the best part about running the Hooters Half Marathon in Ft. Myers, Florida, and it is our 2017 Golden Runners Award Winner! The Charm City Wine Run 5K. Beyond the normal shirt and runner premium (in this case, a wine glass) we got UNLIMITED tastings of beer, wine, and other spirits at the accompanying wine festival. UNLIMITED tastings!!!!! Our little running group was a very happy group for many hours after the race. Chalk up another big win for the Run and Ride Race Series! 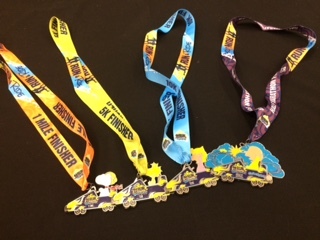 In 2016 they upped their bling game big time by, not only having each medal for their respective distances be a different Peanuts Gang character riding in a roller coaster car, but every car connects to each other with magnets to form a a roller coaster train!! Our only regret is that we did not earn the complete set. Oh well, there is always 2017 as this SMO theme will be back and better than ever! Across the Bay 10K. Amongst all of the big boys of the racing industry, we have a real dark horse winner this year! 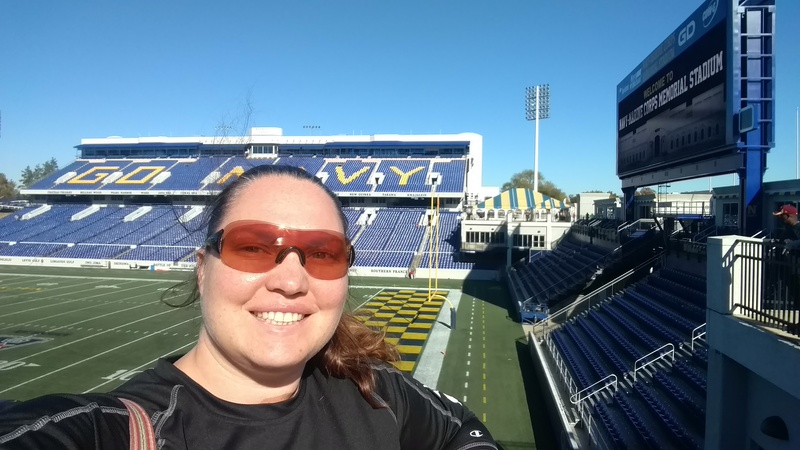 This expo is held at the Naval Academy football stadium so there is plenty of parking and they have improved the layout since the first year, showing that organizers are working hard to put the runner’s experience first and foremost. They hold events on the field for kids during the expo so there’s something to entertain you as you pass between sections. The issues with running out of the event shirts aside (and this still needs some work), the expo itself it pretty good. The Brooks wind tunnel machine at Rock n Roll Chicago. No, it was not filled with cash, sadly. 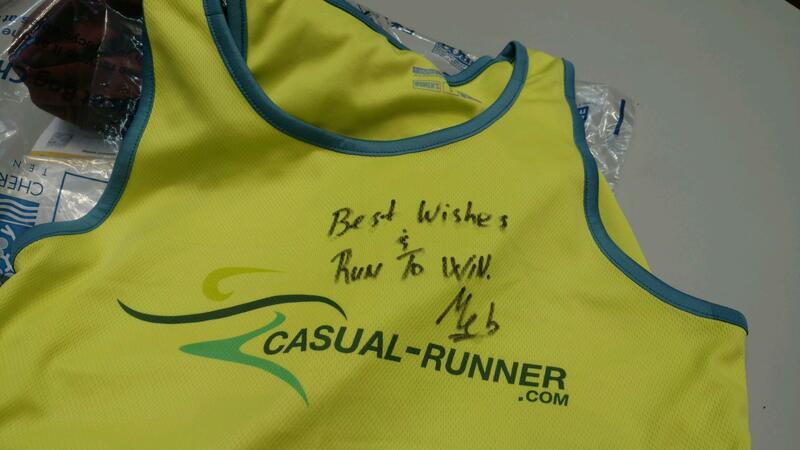 Instead it was filled with slips of paper that, if you caught the right ones, you could win cool Brooks gear. Unfortunately I did not win, but it was still fun nonetheless! Runner Up, from Jennifer: At the Cherry Blossom 10 Miler: I met Meb!!!! And he signed my shirt!!!!! The Cherry Blossom 10 Miler. 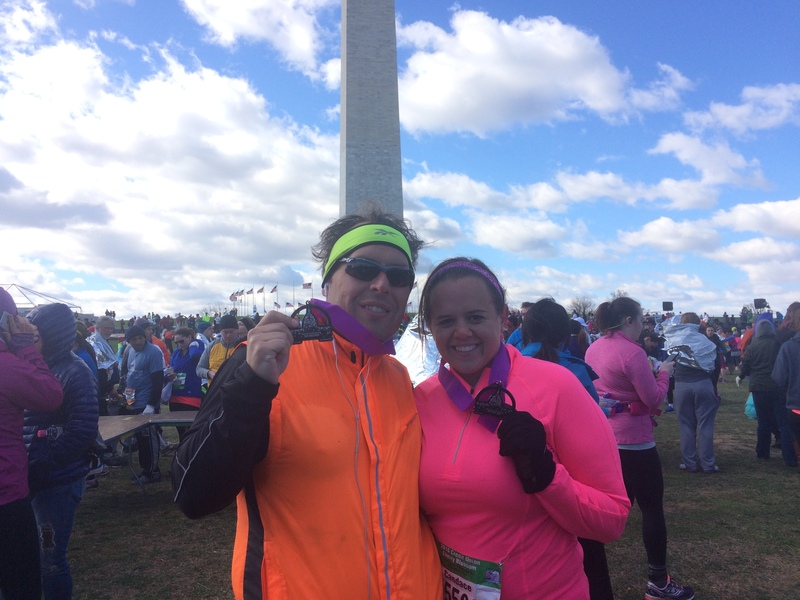 Candace loved running by all things Washington D.C. While she was disappointed that we missed the cherry blossoms in bloom, it was nonetheless fun to run by the spectacular monuments and along the Potomac River. There are tons of race concepts out there: glow runs, superhero runs, runs where people throw stuff at you mid-race, and some work better than others. Today we honor the Lake Health Running Series 20/10 Mile Drop Course. The concept is simple, the execution is not. Race organizers wanted a long run that is mostly downhill so runners could run fast. The goal is to have PRs fall left and right in a fun race atmosphere. Somehow the Lake Health Running Series 20/10 Mile Drop Race manages to pull it off in a great way. The runDisney Disneyland 10k. The #1 reason why some races suffer, and even fail, is BAD course design. 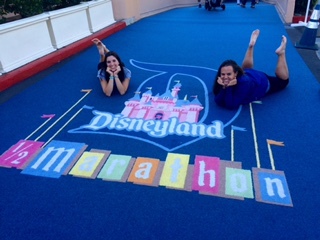 The runDisney Disneyland 10k, however, may be the most perfectly designed course we’ve encountered yet! No other race maximizes its amount of time spent running amongst amazing scenery and entertainment as this race, however, we challenge race directors everywhere to try, as every Casual Runner will benefit from it! 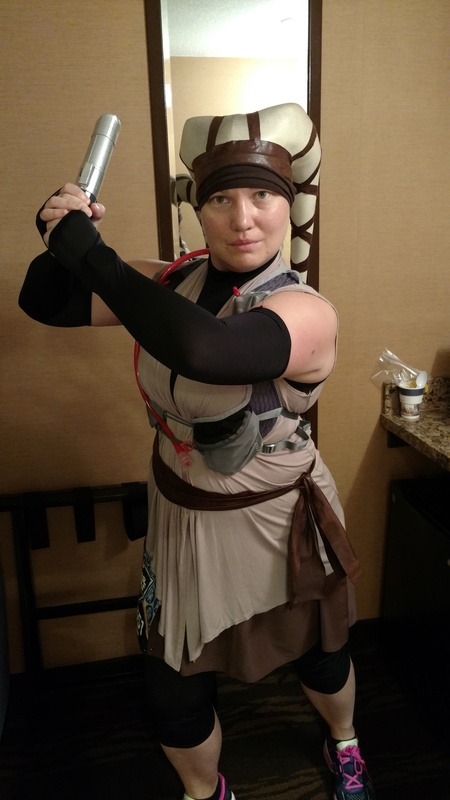 Star Wars cosplayers at the runDisney Disneyland Light Side Half Marathon Weekend and the Walt Disney World Dark Side Half Marathon Weekend. These folks are amazing. Not only to do they come out early in the morning to cheer the runners along, they do it in full costume! Some of their costumes and character interactions were actually better than the official Disney characters on-course! Special recognition to the 501st Legion at the Disneyland Light Side Half Marathon Weekend. They make this race every year, and the thought of seeing them motivates runners to power through the first half of the race! 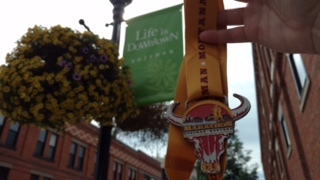 Bozeman Marathon & Half Marathon: The organizers know how to do it right. There are water and potty stops at least every 2 miles so you have all of your bases covered. We would be remiss if we did not give a special mention to the little girl who stood outside her house giving out bacon and coke. Everything about this memory is just perfect! Bozeman is a large town by Montana standards, but a small town by most other standards. The race ends on the historic Main Street, which still has a few buildings that are original to the town founding. The entire street is shut down all morning for the race, and when you make that final turn onto Main Street it’s quaint and exhilarating all at the same time. Jennifer notes that it does not hurt that organizers specifically designed the course so that her favorite pizza place with hometown brews is literally next door to the finish line. The runDisney Walt Disney World Marathon: The water stations are always the best anywhere and are plentiful, PLUS the back-of-the pack course support is just hands down so supportive. 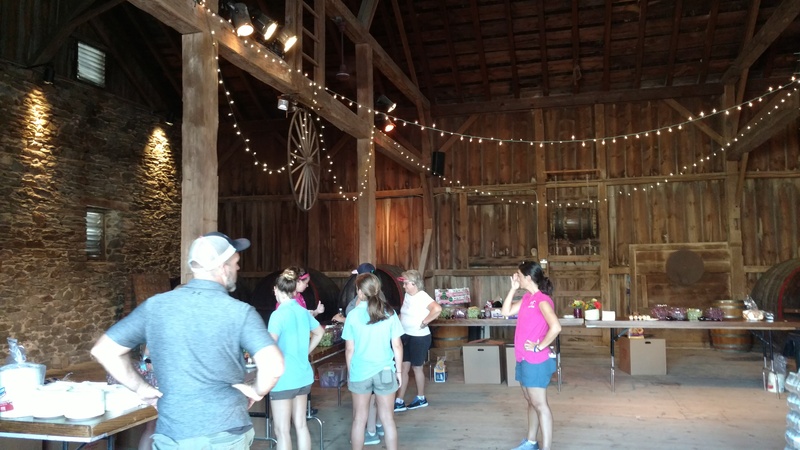 It is not just about the fastest to finish, organizers go out of their way to make sure that every runner receives the support that she or he deserves. 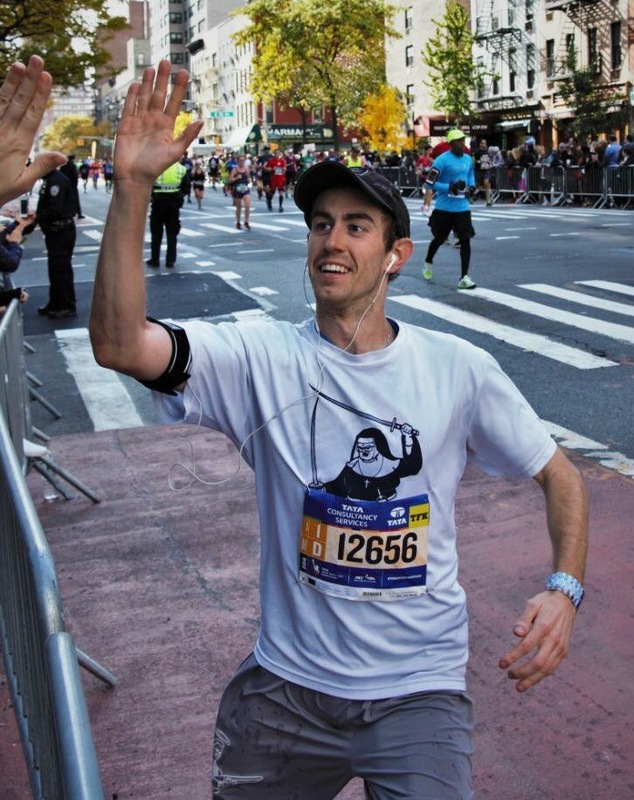 TCS New York City Marathon: Constant crowd support throughout the entire course. This is just what you need to get you through a marathon! Honorable Mention: Chicagoans turned out big time to support the 2016 Rock N Roll Chicago Half Marathon. But, what made their efforts most noteworthy was when the heavens opened up and the monsoon rains poured down, many spectators and course volunteers alike held their posts to cheer the runners on. Thank you for honoring runners in this way! 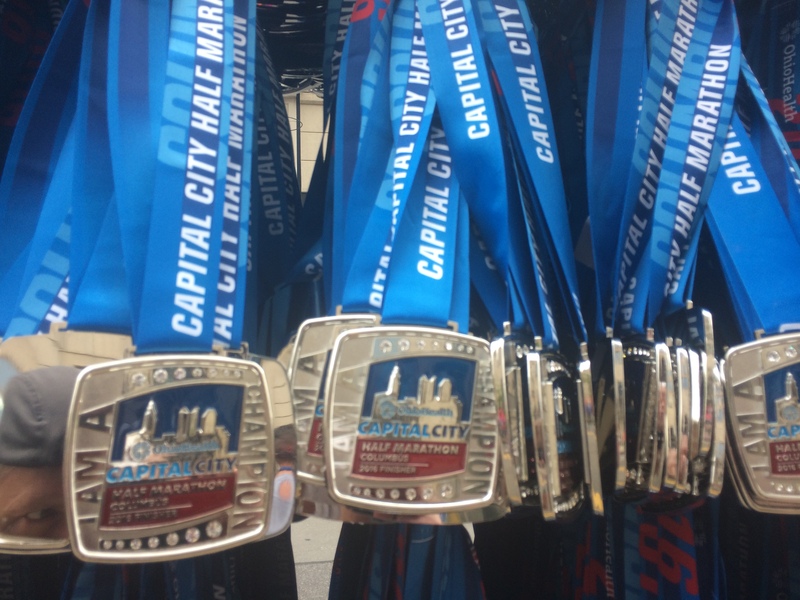 The Cap City Half Marathon (Columbus, Ohio). There are so many things going on at the downtown finish line and post-race party that it is hard to list them all. Not only was the SMO just WOW, but after receiving them we could go on to celebrate with wine, champagne, beer, tequilla, plus so many food options (Papa John’s pizza, ice cream, chocolate milk, chocolate bars) all laid out in a splendid park/festival atmosphere. They had bands performing on the main stage and a whole slew of fun for a post race party to celebrate everyone’s achievement. Spibelt. Whether its a race or a training run, there are some things that no Casual Runner can leave behind: iPhone, car keys, house/room key, gels, well, you get the idea. 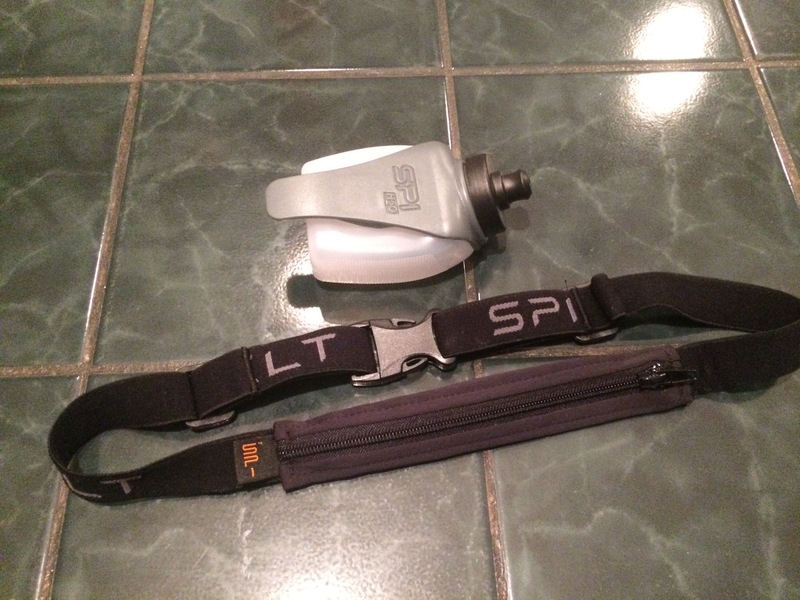 For all of these essentials, Spibelt gives us a place to keep them safe and secure without adding bounce to our step. BodyGlide. Casual Runners are united in an epic and eternal battle against a common enemy: the chafe. That horribly torturous agony caused by unwanted chafing will not only ruin a run or race, but will last for days as a remind of our own mortality. We can only do so much by selecting the right running gear, for everything else we count on BodyGlide to get us through our runs chafe-free! 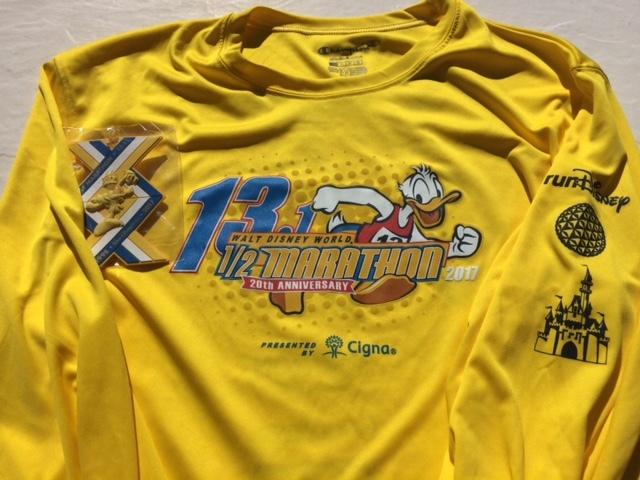 The unofficial Walt Disney World Donald Duck Half Marathon: After the official race had to be cancelled due to weather, spontaneous races popped up at resorts all over Disney property. Watching the organic on-course support grow as social media learned of people running was quite inspiring to those of us sitting at home. 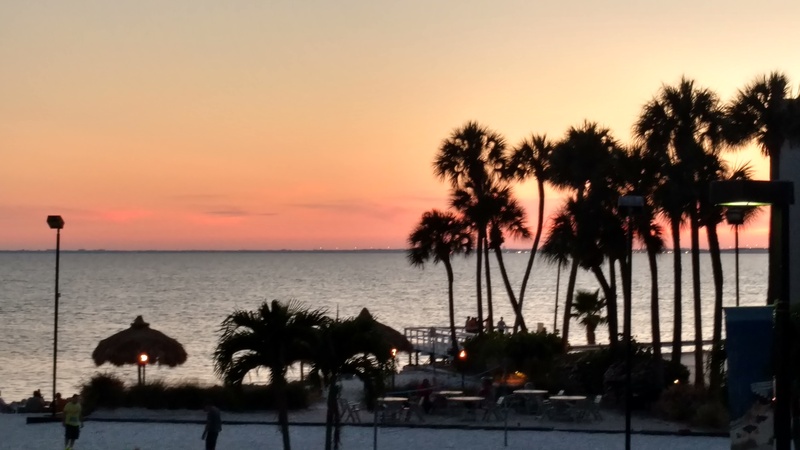 Tampa, Florida: Tampa is known for its warm weather and wealth of Casual Adventure opportunities (swimming with sharks and swimming with manatees to name two! ), but it is becoming better known as a running destination. There are a ton of running path options both inland and along the water, and a spectacular sunrise or sunset is never too far away if you time it right! 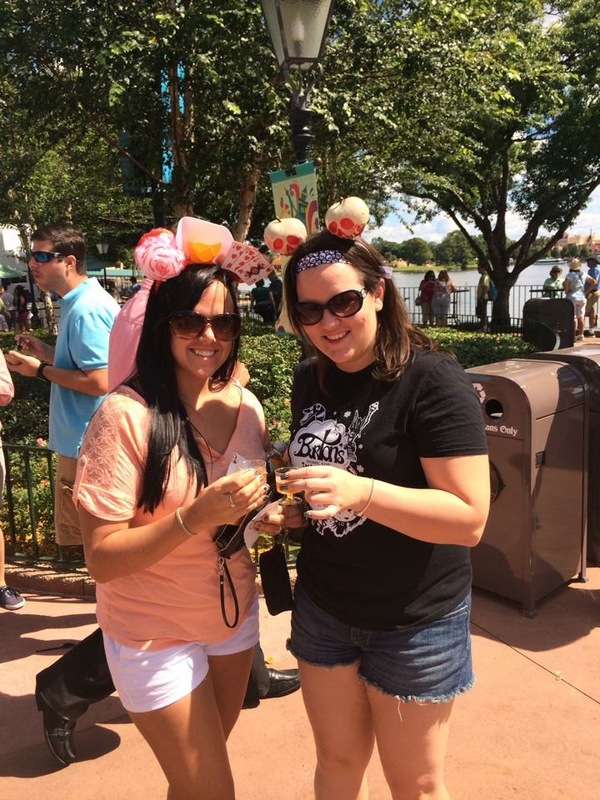 Come on, you had to know that we would go with the Epcot International Food and Wine Festival. 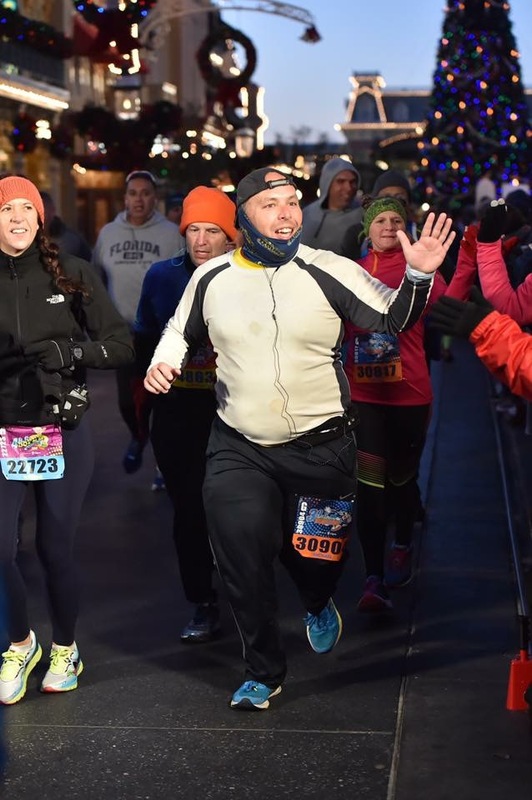 Whether you are dutifully touring World Showcase Esplanade in search of the best entrees, best desserts, best drinks, or engaged in a competitive battle of Hide & Squeak, you and your running buddies will enjoy this capstone to any great runcation! 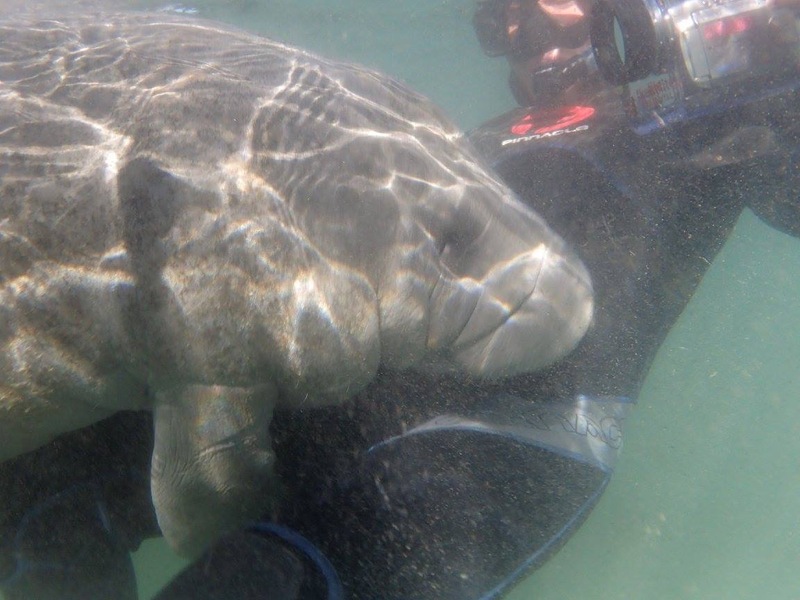 Swimming with manatees (Crystal River, Florida). This is the perfect addition to any race weekend in Orlando, Tampa, or any surrounding Florida locale. It is suitable for Casual Adventurers of most ability levels, and is great to save your legs either before or after your race, and, THERE ARE FREAKIN MANATEES! Congratulations to all of our honorees and thank you for your contributions to Casual Running! If you favorite did not win, no worries, we will be back next year when they will have a chance to bring home a coveted Golden Runners Award. In the meantime, if a deserving runner, race, product, or adventure experience deserves further consideration, send us a note and we will gladly check it out. Until next time, thanks for joining us! ← Fast Friday: What Would You Rather Do?